Packing for a Camino always feels like a mix of research and guessing. Will I need this, or will it just add extra weight to my pack? Will I miss it? Can I wait and get it in France/Spain if I need it? The Camino del Norte hugs the coast of northern Spain, which is rugged and beautiful, but also wet and windy. But I knew the Norte was going to be different. Our chances of long, rainy days in May were high, according to the daly reports from other pilgrims on the Camino del Norte Facebook page. They were trudging through heavy winds and rain for weeks on end. So I leveled up my rain gear. I picked up a high-tech Rhyolite jacket from REI that weighs almost nothing and protected me for hours with none of that clammy dampness that leaches through most raincoats. Then, after much debate, I bought a pair of Marmot rain pants on ebay. And I discovered that backpacking in the rain didn’t have to be miserable. Of the 17 days we spent on the Norte, there were 3 days when we had heavy rain for at least half the day, and 3 or 4 more with a shower or drizzle at some point in the hike. But I didn’t dread the rain the way I used to, because I walked in a dry bubble. My magical jacket and pants kept me totally dry. My backpack was lined with a trash bag inside, and a rain cover on the outside, and my boots were waterproof. Being outside for 8-10 hours on a wet and windy day wasn’t a disaster, or even unpleasant. I’ve tried “sticks” before. I bought 2 trekking poles in France during my first Camino but couldn’t get the hang of them, and when I forgot them in an albergue two weeks later, I didn’t miss them. And last year I bought one cheap pole in Pamplona for my walk to Burgos (which ended in Santo Domingo instead), but never felt like I needed it. But on the Norte, the trekking poles were indispensable. 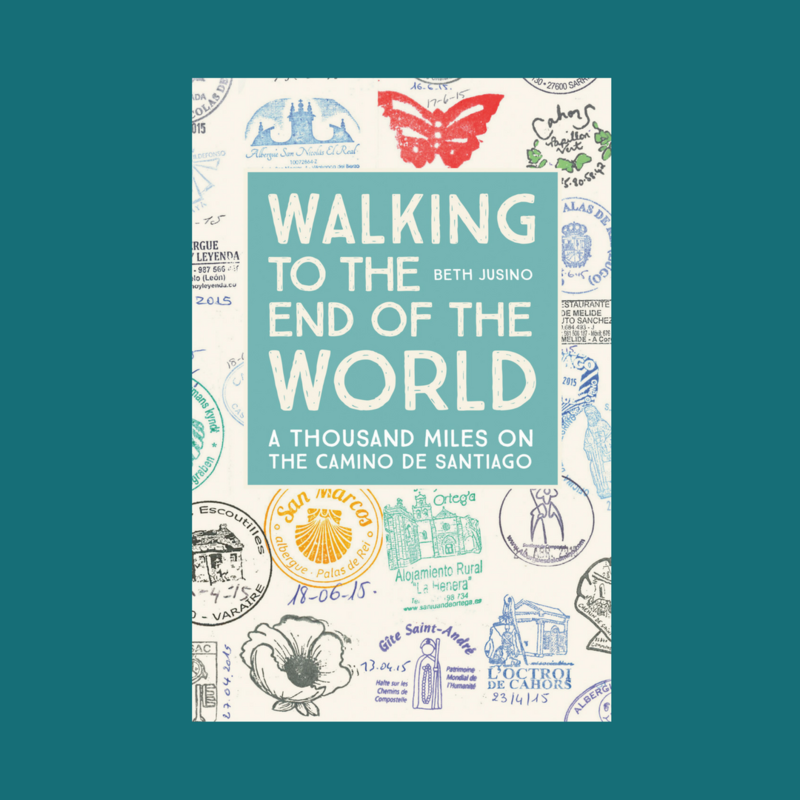 The Camino del Norte is a LOT more rugged than the Camino Frances, where thousands of pilgrims a year keep the paths generally wide and smooth. On the Norte, there’s more terrain: steep ascents and descents on loose rock; hills of slippery, ankle-deep mud; and this crazy path across a rock bridge of sharp rocks, with the ocean swirling in below. I used my poles every day, and was glad I had them. I’ve written extensively about my issues with my feet on long Camino walks, and about the hope I had for my Hoka One Ones. And it turned out to be a good choice. After three Caminos and four pair of shoes, I’ve finally found the pair that’s right for me. The boots didn’t solve my problems, but they certainly helped, protecting my arches and ankles, while adding the shock absorption and cushioning that I needed for the daily beatings my feet took on rocky paths and miles of pavement. In fact, I’m still wearing them almost every weekend when we go for day hikes in the mountains near Seattle. Plus, they’re waterproof, which meant that I could brave not only the rain, but the treacherous mud. Are they the right shoes for everyone? Of course not. Eric loves his Altras, and other pilgrims have their favorites. There’s not one hiking shoe that’s right for everyone. But if you’re someone with mid-sole issues like me, give the Hokas a chance. What were your Norte packing essentials? 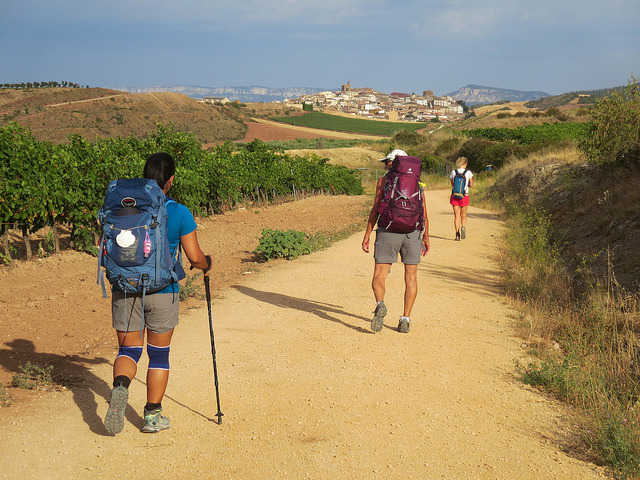 If you’ve walked multiple Camino routes, what did you learn to bring on one and not another?